In a recent interview with crypto YouTuber Naomi Brockwell, a New York-based YouTube channel focused on all things Blockchain, Byrne pointed out countries like Venezuela, where crypto adoption has already flourished, should demonstrate what is coming to the developed world. So yes, given that I think the entire modern financial system is a big Keynesian, magic money tree ponzi scheme, I do expect that the day will come when people turn to crypto. Now, whether Bitcoin is the one, whether Bitcoin has solved its speed problems or it’s another cryptocurrency, only time will tell," said Byrne. Talking about government regulation of cryptocurrency, Byrne emphasized the importance of know-your-customer, as well as, anti-money laundering requirements and believes that this could thwart criminals from using coins. Byrne also said there are threats to the US even as some people branded him as a revolutionary person while a few others regarded him as a national security libertarian. He is worried about the threats coming from the emerging asset class. That is why he is favoring KYL and anti-money laundering and does not want to criticize them. "He [Byrne] is not the only person to say that the modern financial system is a Ponzi scheme. There were already others who are voicing similar concerns in the past. For instance, the head has likened cryptocurrencies to Ponzi schemes. Significantly, bitconnect indicated early this year that it was forced to down the shutters following the accusation of running a Ponzi scheme. Therefore, Byrne comparing crypto with Ponzi schemes are nothing new," said Crypto Vibes. 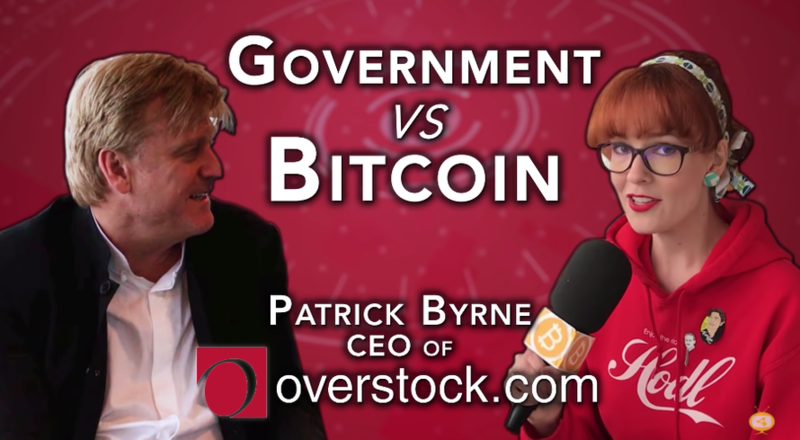 It is also known that Overstock was one of the first big retailers that started accepting cryptocurrencies in 2014.